I have to say that one of my favorite gas powered tools has become this Alaskan mill. 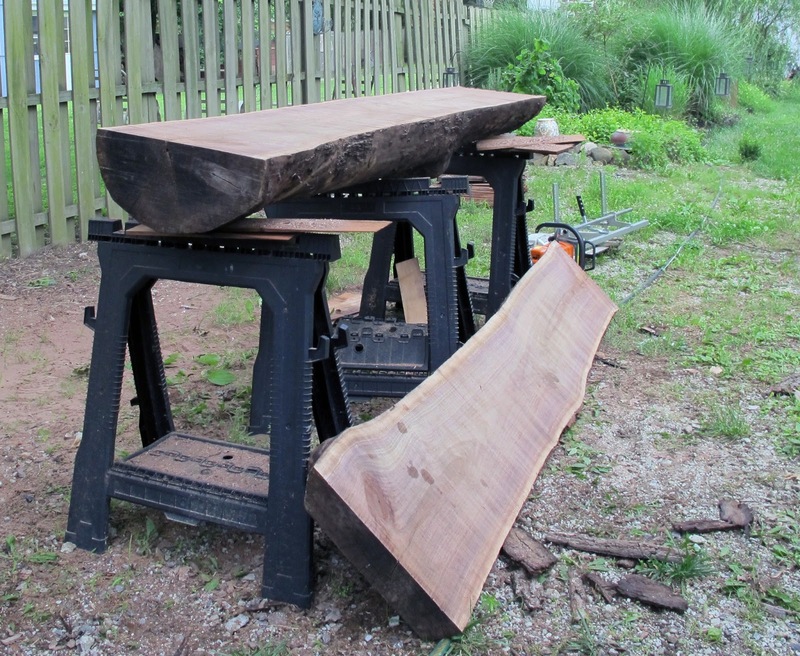 I have milled walnut, maple, sycamore, pine, beech and some other mystery lumbers with it with excellent results. The only real problem I have with the mill rig is that the chainsaw tends to take a rather large kerf. As a result, quite a bit of otherwise beautiful lumber ends up in my boots, in my pockets and on the ground as sawdust. The benefit (in my opinion) of relatively free lumber far outweighs the minor losses I must endure. I have found two things that help me reduce the amount of waste when milling with the chainsaw. Keeping a sharp, rip-filed chain on hand is my number one waste eliminator. If the chain gets dull it starts to rattle a little and can mar the wood deeply, it will also tend to create a larger kerf and cause the saw to work harder or stall in the cut. The second is working the mill over a nice flat surface. Once the first cut is made the log provides its own flat reference surface, but getting the first cut nice and flat certainly helps the remaining cuts. 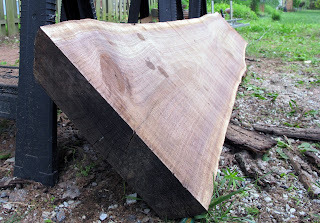 The 2x6 method I showed in a previous entry on milling walnut seems to work very well as long as the 2x6 is stable, flat, straight and secured to the log well. 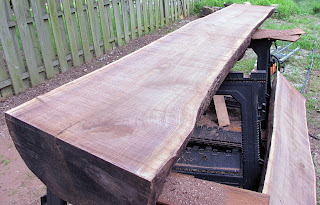 I milled this log into 12/4 slabs as that is what is needed for a project I have in mind, however, the mill will let me adjust to just about any depth. If need be, these slabs could always be made into narrower pieces on my bandsaw, or with some serious rip saw work after they are ripped to the correct width for the boards I need. Just wanted to say I am loving reading your blog!